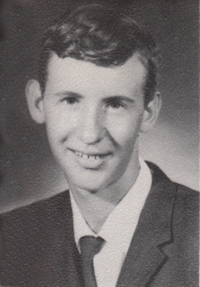 Obituary – Shimanek, Michael Henry « Perry High School Alumni Association, Inc.
A mass of Christian Burial for Michael Henry Shimanek, age 68, of Granbury, TX, will be held at 11 a.m., Saturday, December 19, 2015, at St. Rose of Lima Catholic Church in Perry, OK. Burial will follow at the St. Rose of Lima Cemetery under the direction of Ladusau-Evans Funeral Home. Michael was born in Enid, OK, on May 14, 1947. The first child in what was to become a large, loving farm family. Mike grew up on the family farm near Billings, OK. He attended Oakdale Center country school, St. Joseph elementary school in Perry, made an uncharacteristic diversion to the Catholic seminary in Oklahoma City for three years before finishing high school back in Perry, graduating in 1965. Mike attended Oklahoma State University for one year and had a brief stint in the Navy before entering the work place. A fortunate turn of events led Mike to Dallas and on the path to a career in the computer field during its infancy. Mike excelled in this career and in spite of a lack of formal education; he rose to be one of the most respected software engineers of his era. 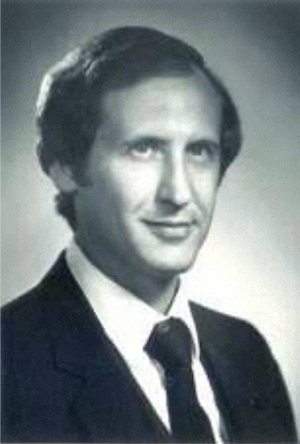 He rose through the ranks to become an executive at the Bank of Oklahoma and vital employee at ARCO-Alaska. He finished his career as an independent contractor doing software system analysis for a multitude of companies. Throughout his career, Mike continued his education, studying at both the University of Tulsa and Southern Methodist University in Dallas. He never stopped pursuing knowledge. Mike lived a diverse and interesting life. He resided in Dallas, Houston, Tulsa, Anchorage, Alaska and Ruidoso, New Mexico, before retiring to Granbury, Texas. He had a truly adventurous spirit. He regularly went on hunting and fishing trips to remote areas, often taking risks far off the beaten path. Alaska was a special favorite of his and he returned there whenever possible. Throughout his life, Mike loved to travel, visiting Hawaii, Costa Rica, many countries in Europe and remote areas throughout the continental United States. Wherever Mike lived, he made close, life-long friends with whom he never lost contact. Even on his travels, he had a knack for connecting with people who he came across, invariably the most interesting person in the room. He would strike up conversations with strangers that could last for hours. Mike’s interests were as varied as his travels. He was an excellent amateur photographer, skilled tennis player, avid golfer, hunter, fisher, hiker and lover of the outdoors. He was deeply devoted to history, science and Oklahoma Sooner and Dallas Cowboy football. He never visited a city without touring its museums. He was an expert on so many subjects, the most brilliant member of a family that prides itself on education and knowledge. Far above all, Mike’s greatest passion, without question, was his family. He was a devoted and loving father, grandfather, son, nephew, cousin, brother and uncle. We have a huge family and he kept in touch with and remained close to us all. He often arranged his life based on the needs of his family, moving and changing jobs to help care for his father, Henry, when he was injured in an auto accident and his baby brother, Kevin, when he was afflicted with cancer as a child. He was always there for us, always encouraging us to gather as a family and always being there when we did. He was our rock. First and foremost to Mike were his children and his most beloved grandchildren, Liadan and Rowan. Mike left us suddenly and unexpectedly on November 10, 2015, in Mount Laurel, NJ. He was there to see his son and grandchildren and for Liadan’s birthday. If he had a single regret at the time of his death, it would be that he couldn’t give Liadan his love and her gifts. That is who Mike was. Mike is survived by son Jeremy and his children Liadan and Rowan; daughter Amy; wife Janice; ex-wife Donna; step-daughters Michelle and Kim; siblings Paul Shimanek and wife Denise, Margaret Eby and husband Jim, Jean Shimanek, Ruth Castro and husband Randy, Kevin Shimanek and wife Mindy; and a multitude of nieces, nephews, aunts, uncles, cousins and friends.